How AI Will Impact Businesses In The Future? The impact of Artificial Intelligence (AI) has been witnessed globally. 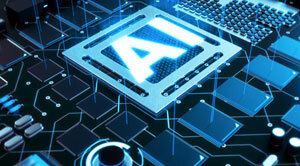 AI has grown its reputation among business leaders and organizations and has emerged as an asset and is presently found in multiple industries thereby transforming the way a business operates and develops. Hence, it’s essential to understand the role of AI in our lives and how it can alter the future. • AI will dominate Customer Service Operations: The most common complaint arises of the inefficiency of customer services. It is estimated that AI will handle around 85 percent of client service interactions by 2020. Many firms are investing in AI as they have realized the importance of automated services, together with the ability to escalate a staff in complex situations. • Disaster Management: AI will be designed more responsive towards emotions and contexts over time. AI-powered robots will take over most of the dangerous and hazardous jobs for humans like bomb defusing. They can play an active role in managing disasters like earthquake and flood and even alerting people beforehand. It can also contribute to resolving the issue of food wastage by using smart logistics and shipping. • AI will disrupt the Health Sector: The trend of personalized medicine is becoming familiar with the introduction of AI and big data in the picture. Based on patient data and records, it will be convenient to understand the mechanism of the disease and then recommend the treatment and medicines accordingly. With the ever-growing use of AI, patients will be assisted by robots instead of humans. • Fraud Detection will be more straightforward: With deep learning, predictive modeling and machine learning algorithms, fraud detection will be more comfortable. Moreover, more financial institutions will adopt AI technology for fraud detection. • Virtual Assistants will become common: With AI algorithms, personal consumer data is tracked to provide a personalized experience to its consumers. It recommends thousands of consumers by analyzing data, which is practically impossible for humans. Therefore, AI will offer personal virtual assistance to each consumer. AI is no more a futuristic technology; it’s already a reality. It is gaining prominence as industries are adopting them as they are a cost-effective and efficient solution. Thy hype around AI’s potential is justified, and since this technology is in its nascent stage, there’s a long journey ahead for it to reach the superhuman level of intelligence.